We believe in the future of Mortuary Science. 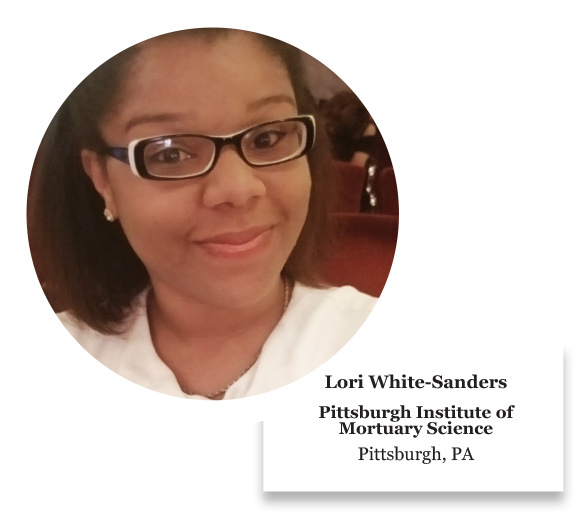 To demonstrate our commitment to excellence in funeral service education, we annually award $25,000 in scholarships to mortuary science students who demonstrate our core values of Excellence, Trust, Care and Growth. Meet two of our recent scholarship recipients and learn how The Tradition of Caring Scholarship has benefited them. 1.) Describe your apprentice experience this far with Newcomer. My apprentice experience has been one of the best opportunities this far in my life. I've gotten the opportunity to work alongside very experienced funeral professionals and learn very valuable skills that I will be able to carry with me for the rest of my funeral service career. I have been prepared to be well versed in every facet of my career and I have learned some extremely valuable lessons along the way. Newcomer has been an absolute privilege to work for and I will always highly recommend them. 2.) How has the Tradition of Caring scholarship benefited you and helped to prepare you for the funeral industry? 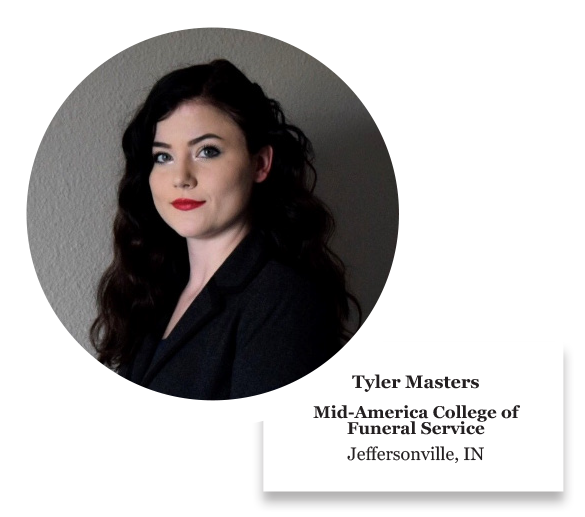 This scholarship has benefited my life immensely, I have gotten the opportunity to finish the necessary schooling and I also have gotten the opportunity to work alongside really amazing funeral professionals along the way. This scholarship has also given me an edge in professional life and is an absolute honor to be chosen for it. I have not only learned the true value in taking care of decedents, but I have also learned how to treat families with the absolute highest dignity and respect. 3.) How has the Tradition of Caring scholarship benefited you financially? The scholarship has taken a lot of the stress that deals with financing school. It has given me a real opportunity to breathe to focus on my studies that are necessary to begin my career in funeral service. 4.) If you were giving advice to a mortuary science student who was considering applying for the scholarship, what would you say? This scholarship has not only eased financial burden that comes along with mortuary school, it is also a wonderful opportunity. Newcomer is an amazing company to get the opportunity to work for and the apprenticeship will more than prepare you to be the absolute best funeral professional you can be. 1.) Describe your apprentice experience this far with Newcomer. I have not started my "apprenticeship" as of yet, however, I am doing clinicals at Newcomer in the embalming room as a course requirement and I love every single moment. I have learned so much about the body, families, fluids, best practices and all. It truly is a treat being able to assist and learn in this capacity. 2.) How has the Tradition of Caring scholarship benefitted you and helped to prepare you for the funeral industry? Caring for families is the backbone of any good funeral director and embalmer. Being awarded the scholarship just made that clearer to me that what I am doing is right and proper. I take care in everything that I do from the first call to the moment the family walks out of that door after the services have ended. I am so grateful to Newcomer for allowing me to serve. 3.) How has the Tradition of Caring scholarship benefitted you financially? The scholarship allowed me to afford paying for school. Being a funeral director and embalmer has been my passion and calling really since high school. As a mother it is difficult to make ends meet and the scholarship provided a way for me to accomplish my dream. I would say, be yourself and if yourself. People value you! If you are genuine, sincere and truly care it will show through and through. Being a good person is not forced. Apply, stay on top of things and be yourself. God will prevail. Our scholarship deadline is Friday, October 26. Learn more about our program and apply today here!